A Lumbar laminectomy and fusion is a procedure used to decompress and stabilize the lumbar spine. This relieves pain and weakness caused by narrowing of the spinal canal, a condition called spinal stenosis. Spinal stenosis is defined by the excessive bone and ligament growth of the spinal canal. This results in narrowing which compresses the nerve roots causing shooting pain down the back and legs and possible numbness and weakness. In some cases, the bulging of a herniated disc can contribute to the condition of spinal stenosis. In a laminectomy, the bony arch called the lamina is completely removed to alleviate the pinched nerve roots. 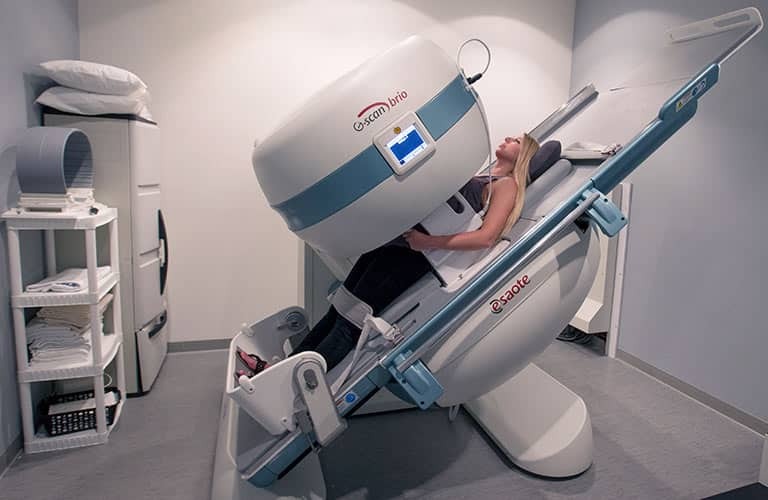 Using fluoroscopy, a special type of x-ray, the treatment region is located and an incision is made on the patient's lower back in an open laminectomy. The spinous process is exposed by dissecting the muscle on both sides of the spine. 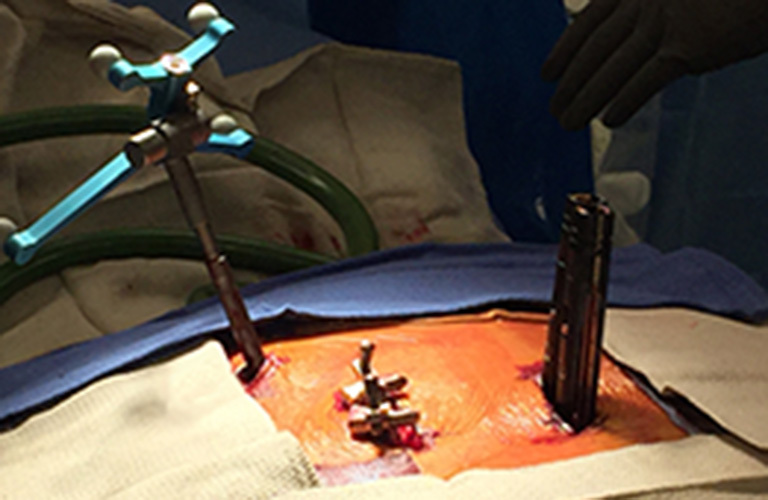 A self-retaining retractor is placed and access to both sides of the lamina is achieved. This procedure results in more tissue trauma than the alternative minimally invasive bilateral laminectomy. 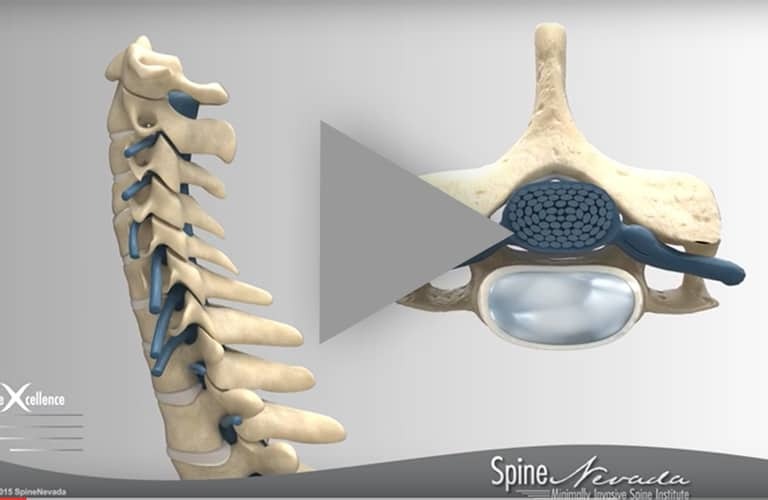 The spinous process, the part of the vertebrae that protrudes down the back of your spine, is first removed to better access the damaged parts of the lamina. To achieve nerve root decompression, the surgeons at Spine Nevada will thin out the lamina on both sides of the spine using high speed drills. Special instrumentation is then used to extract pieces of the thickened ligament. The surgeon will test the nerve roots to check if pinching still occurs. Bone spurs around the foramina, openings where the nerve roots exit the spine, may be cleared in order to achieve full nerve root decompression. Graft material is laid on the transverse processes and facet joints. Lateral mass screws are then placed on either side of the vertebrae and a rod system is secured to stabilize the spine as it heals. Over time the graft material will fuse with the vertebral tissue above and below forming a bone mass called a fusion. The wound is closed with absorbable sutures and a dressing is applied. At Spine Nevada this procedure is generally performed as an outpatient procedure.